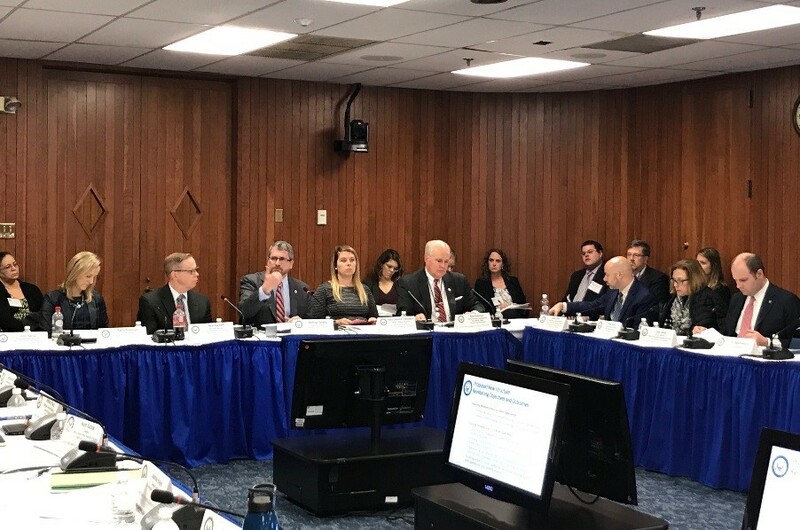 On December 12, the 19 federal member agencies of the Council came together to discuss essential strategies driving national progress on ending homelessness, successes to-date, the work ahead, and opportunities to strengthen the Federal Strategic Plan. At the outset of the meeting, Neal Rackleff, HUD Assistant Secretary for Community Planning and Development, accepted a nomination to serve as Council Chair for the remainder of 2017 and throughout 2018. I and the team at USICH are excited to see the Assistant Secretary move into this role, signaling his commitment to the work of ending homelessness and to driving action by the Council. Prior to coming to HUD, Assistant Secretary Rackleff had served as Director of the City of Houston’s Housing and Community Development Department. Under his leadership, Houston became one of the first major cities to effectively end homelessness among Veterans, while chronic homelessness was reduced by more than 70%. Matthew Doherty, our Executive Director, oriented the new Council team to the history, structure, and roles of the agency and the importance of the Council and interagency working groups in breaking down silos and ensuring the effective implementation and maximum impact of federal efforts and resources. He also discussed essential strategies and evidence-based practices that have been driving progress, described how the Council has driven progress toward preventing and ending homelessness, and identified key priorities for the work ahead. Norm Suchar, HUD SNAPS Director, then presented an in-depth look at the results of the 2017 Point-in-Time Count. While the data indicates that many parts of the country are driving down the numbers of people experiencing homelessness, progress in other communities has flatlined or homelessness has increased significantly. The PIT data—and the challenges communities are facing—makes a strong case for why the Council must continue its attention on supporting states and communities. Matthew emphasized that one of the key ways to do this and to fulfill our responsibility to communities is by strengthening the Federal Strategic Plan. He reviewed our on-going input processes, feedback that we’ve been receiving from stakeholders, and our planned process for the development and publication of a newly revised Plan. The Council agreed to this approach and charged member agencies to collaboratively develop a revised and strengthened Plan under our leadership. We’re looking forward to building on partnerships with our Council members in 2018, and to learning from and supporting the work of communities to make sure that every American has the opportunity of home.